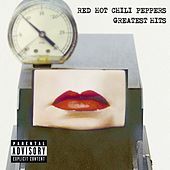 Greatest Hits covers the years 1989 to 2003: This, of course, means it contains the smashes "Under the Bridge," "Californication," "Give It Away," "By the Way" and "Breaking the Girl." It also boasts two exclusive cuts in "Fortune Faded" and "Save the Population." If all you crave is an introduction to the Peps' commercial fodder, this is a good start. If, however, you also want to hear some of the band's early punk-funk stuff, then the earlier anthology What Hits!? makes for a decent companion piece.